What do smoke stacks and coal-fired power plants have in common with forestry in Oregon? They are both major contributors to carbon pollution that causes climate change. Climate change affects us all, and will impact Oregon's economy and our way of life. ​​Oregon's forests have enormous potential to store carbon naturally, to help combat climate change. Trees in a forest naturally remove carbon dioxide from the air, and store it in their bark, wood, branches, and roots for centuries. How we manage forests can be part of the problem causing climate change, or part of the solution. For example, public forest lands, which are managed for multiple values and generally aren't clearcut, have been shown to be net storers of carbon. Unfortunately, a recent report from the Oregon Global Warming Commission's Forestry Task Force makes it clear that current logging practices on private timber lands make these forests a net emitter of carbon pollution. This is because logging kills trees, stops them from growing, and accelerates the transfer of carbon from the forest to the atmosphere. 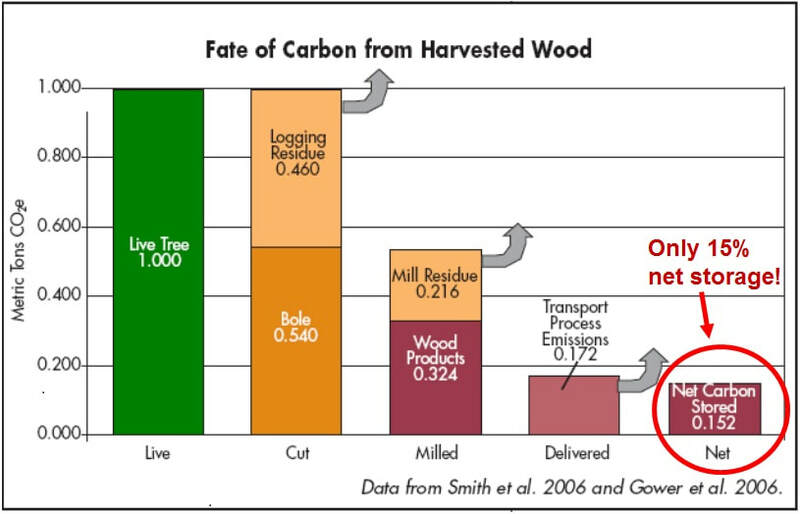 ​Only a small fraction of a forest's carbon is stored in wood products once it is cut. Industrial clear-cutting of Oregon’s forest is now the state’s single largest source of greenhouse gas emissions, according to a new analysis released Monday, Dec. 11, by the Center for Sustainable Economy. That’s a move up from second place in the center’s 2015 initial report, compiled in conjunction with the Geos Institute and Oregon Wild. Regardless of its impact, however, the industry remains virtually unaffected by the state’s proposed climate change legislation. Senate Bill 1070, which would create a carbon marketplace with incentives for reducing emissions, doesn’t include the timber industry’s impact on climate at all, which is topping out at an average of 33 million metric tons of greenhouse gases each year. By comparison, the previous No. 1 – transportation – emits between 20 and 24 million metric tons each year. . . . Learn more about forests and climate change here.